WorldSBK returns this weekend as the paddock heads back from summer to take on Lausitzring, in the east of Germany. The venue has hosted WorldSBK before, but not since 2007 - meaning 2016 will be the first look at the track for the majority of the grid. Only Milwaukee BMW rider Josh Brookes has lined up on the Lausitzring before at world level – and that was in World Supersport. The experience of those who have ridden in the IDM could make a difference – chiefly Althea BMW’s Markus Reiterberger and Barni Racing’s Xavi Forés, who have both won previously at the eastern German circuit – but the 4.2km track should prove a clean slate for the majority of the grid. 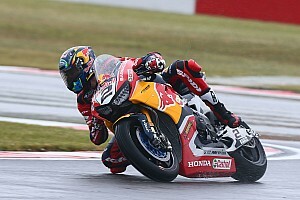 It’s not quite a start from zero however, since most of the WorldSBK teams have tested at the track. With four Rounds to go, the final countdown begins here. The man left frustrated after Laguna Seca was an impatient reigning Champion, as Kawasaki Racing Team rider Jonathan Rea failed to finish the second Race with a mechanical problem, and found himself staring down the summer break with Germany and the chance to get back on track seeming so far away. Out but not down was the title defender’s mood however, as the Northern Irishman was philosophical in the face of the retirement and kept some perspective on his title lead, which remains substantial. With only four Rounds to go, Rea is in not only a good position, but the best one by far. Ducati’s Chaz Davies recovered some form in Race 2 in Laguna, and some points on reigning Champion Rea. 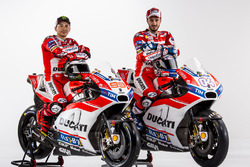 The Welshman also now has a brand new Ducati contract in his pocket, and with his future decided some of the pressure should be eased on the Aruba.it title challenger. 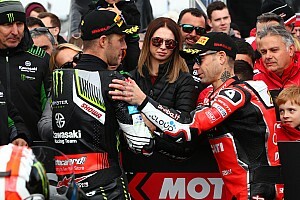 Although almost too far back to now be considered a threat to leader Rea, never in motorcycle racing can the word ‘never’ be used – until the maths says otherwise. 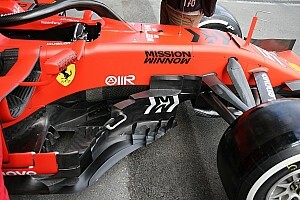 Davies had an extremely good test at Lausitzring ahead of his summer break, too, and can never be counted out. The big news in the paddock will definitely belong to Sylvain Guintoli, however, as the French veteran and 2014 WorldSBK Champion prepares his return to racing after a highside in Tissot-Superpole 2 in Imola. Expecting to be 100% healed and fit, Guintoli will be looking to make waves with Yamaha in the final four Races of their partnership, before Dutchman Michael van der Mark takes over the seat for next season to partner Alex Lowes. 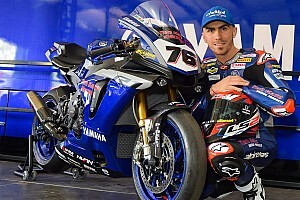 Lowes’ PATA Yamaha machine will be one to watch in Germany too as the Brit returns to WorldSBK fresh from victory in the Suzuka 8H on the YZF R1, and two outings on the Monster Yamaha Tech 3 machine in MotoGP™ after subbing for injured Bradley Smith. Although the Suzuka 8H is under different regulations, the extra experience and working alongside Yamaha Japan can only prove a positive for the 2013 British Superbike Champion, as the PATA squad set about pulling themselves to the front. Honda WorldSBK Team’s line up of Michael van der Mark and Nicky Hayden also come back to WorldSBK from Suzuka, but were sadly unable to finish the race due to a mechanical problem. The Ten Kate squad is another who have tested at the German track before Round 10, and will be hoping to hit the ground running and get more podiums and wins to add to their 2016 tally before welcoming new rider Stefan Bradl to the squad over winter. 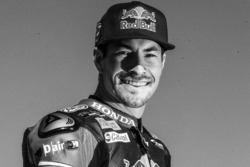 With all the riders rookies of the 4.2km ribbon of asphalt, WorldSBK newcomer Nicky Hayden will be at no disadvantage and will be hoping that work on the electronics over the course of the season’s tests will begin to give a big pay off. At Althea BMW, rookie Markus Reiterberger is another rider who will be back from injury at Lausitzring. The German is hoping to be fully fit for his home Round after a big highside crash in Race 2 at Misano World Circuit Marco Simoncelli saw him break vertebrae. The two-time IDM Champion does have experience of the track to help him get back on the great pace he has often shown in his rookie year, and he and his fellow BMW riders - teammate Jordi Torres, and Milwaukee’s Josh Brookes and Karel Abraham - will be keen to get some good results at the home Round of their manufacturer. After a season of some incredible results, MV Agusta’s Leon Camier will be another rider who will be hoping that the test sessions in Germany will facilitate an easier start to the race weekend. Camier, who has finished in the top 4 more than once in 2016, will be looking to start off well in the final run of four Races in 2016. Looking to spoil the MV Agusta Reparto Corse party will be IodaRacing Aprilia’s Lorenzo Savadori too, who has often emerged as another contender for the top 5 in some moments of impressive rookie outright pace, and some of well-planned opportunism. The unfortunate rider is Fabio Menghi, the Italian having had to undergo further surgery to tendons following his heavy pre-season testing crash at Phillip Island. 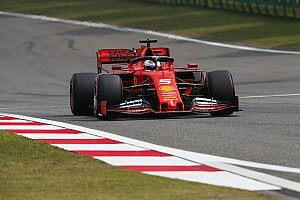 This means he misses the rest of the season, with the family-run VFT Racing team now set to draft in Luca Scassa for the remaining German, French, Spanish and Qatari Rounds. With the grid back to full strength, the summer break over and testing in Germany complete, all that remains for WorldSBK at Lausitzring is for the lights to go out and the final countdown of the 2016 MOTUL FIM Superbike World Championship to begin on the 16th September, as the season finale in Qatar awaits.